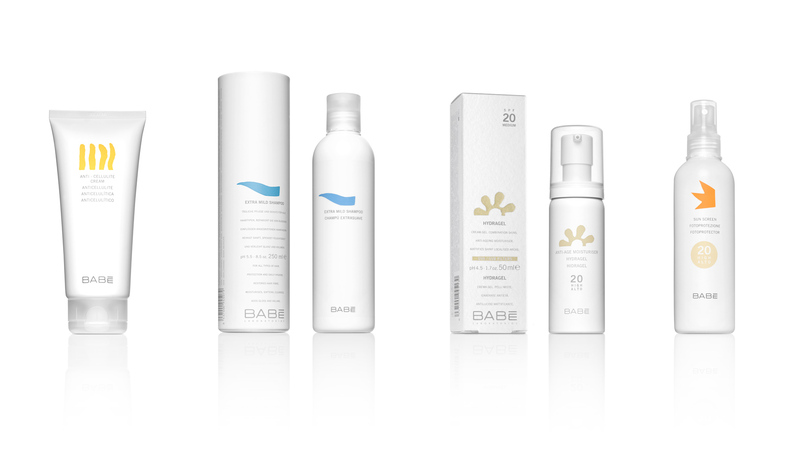 BABÉ cosmetics brand is exclusively distributed at pharmacies. We designed the Identity and packaging for the four product divisions within BABÉ. Each one has its own colour and symbol. The aim of the packaging design was to give it more of pharmaceutical identity than a cosmetic look. The text is set over a white background: highlighting that the characteristics and benefits of the product have a fundamental value for BABÉ. Since launch, we have been responsible for all of BABÉ’s communication: packaging, displays, points-of-sale, stands, promotional gifts, and website.